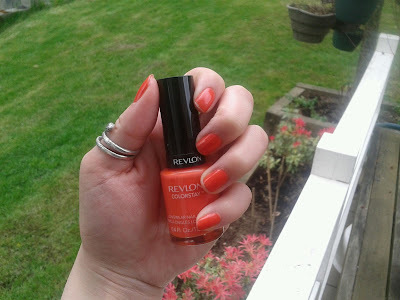 Nails for this week are in Marmalade by Revlon's Colorstay. It's perfect for Spring being a bright coral/orange color. This retails around $4.99 to $7.99 depending where you go. I suggest Target and Walmart since you will find it at those places for the lowest costs, and if you can find a coupon online or the Sunday paper, even better! 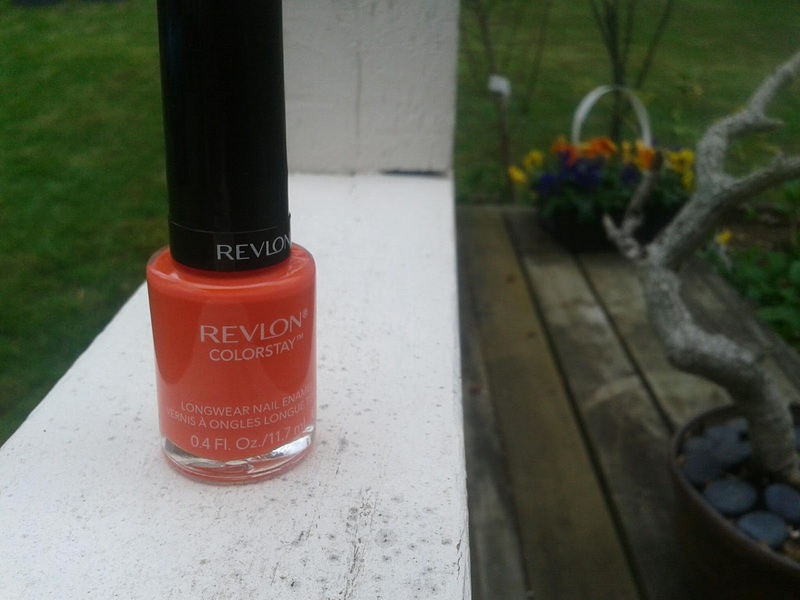 I have a love for the Revlon Colorstay nail polish line and this one was no exception. 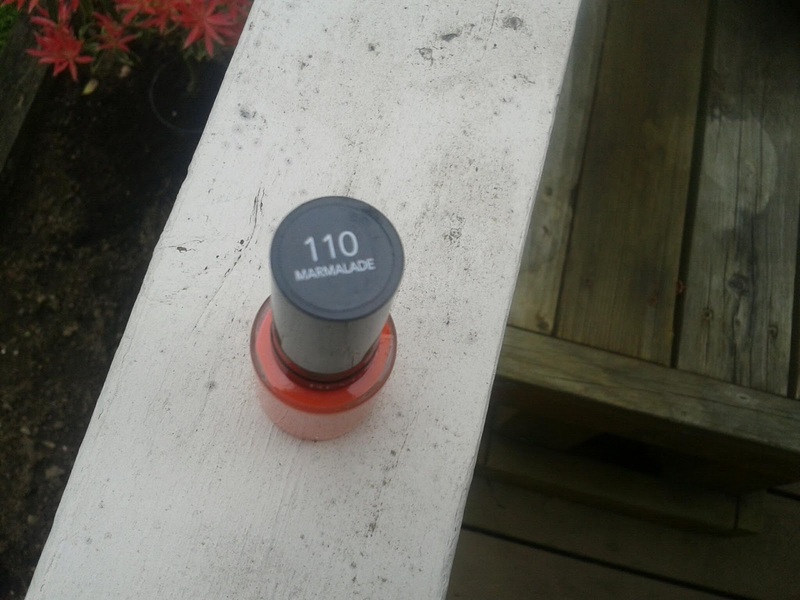 Like most of them, it has an easy application, the formula is excellent. This is about day 4 already (using the Revlon Colorstay base coat and top coat) and there is barely any chipping. 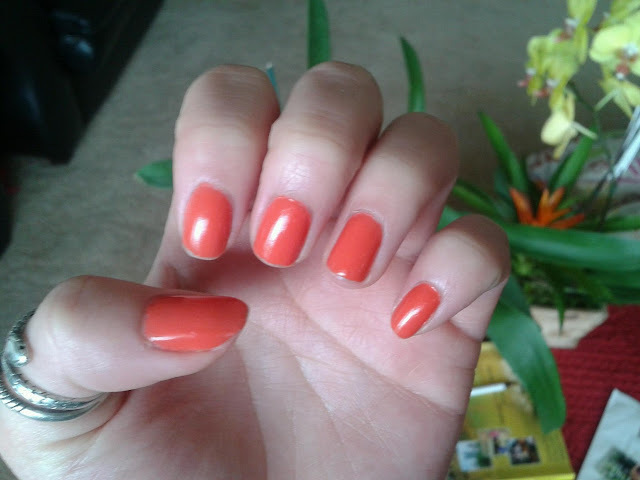 I've also had people tell me it looked like a gel manicure. 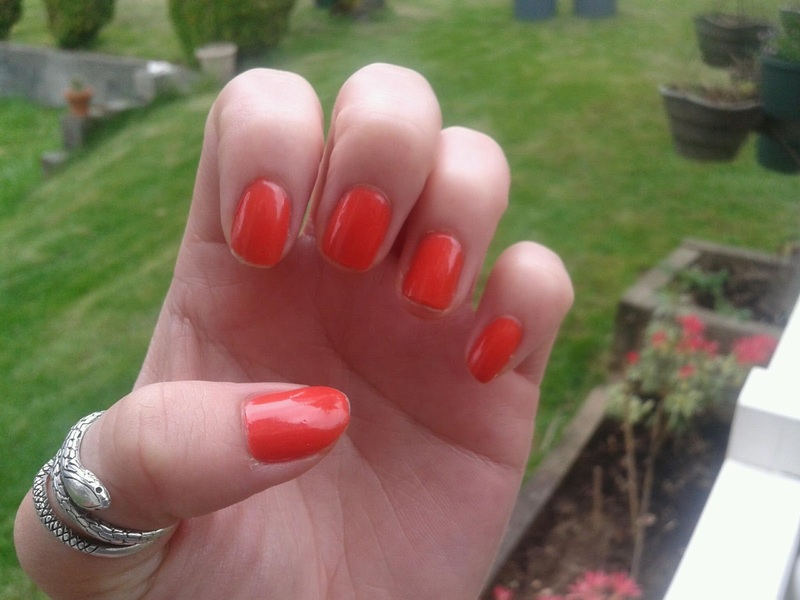 This color is perfect for the warmer weather, a bright orangey-coral and I highly recommend it!